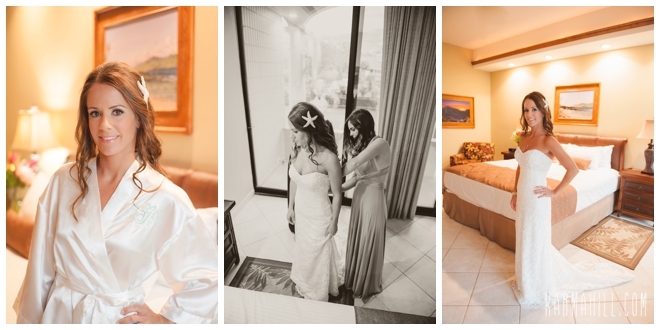 Erica & Matthew's Maui beach wedding celebration began at the Lahaina Shores Beachfront Hotel where the Erica prepped for her big day. 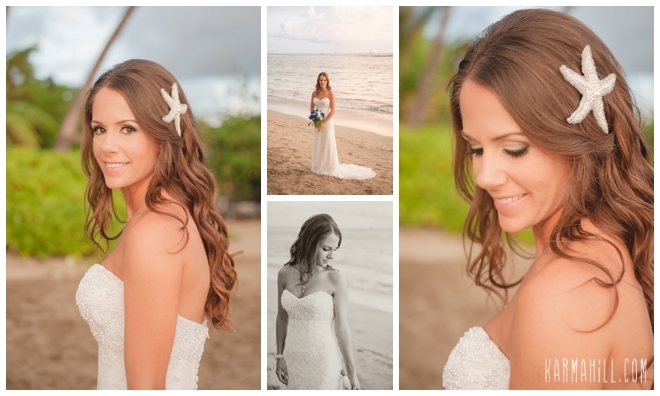 Beach Brides by Heather did Erica's hair and makeup and adorned her hair with a beautiful starfish. 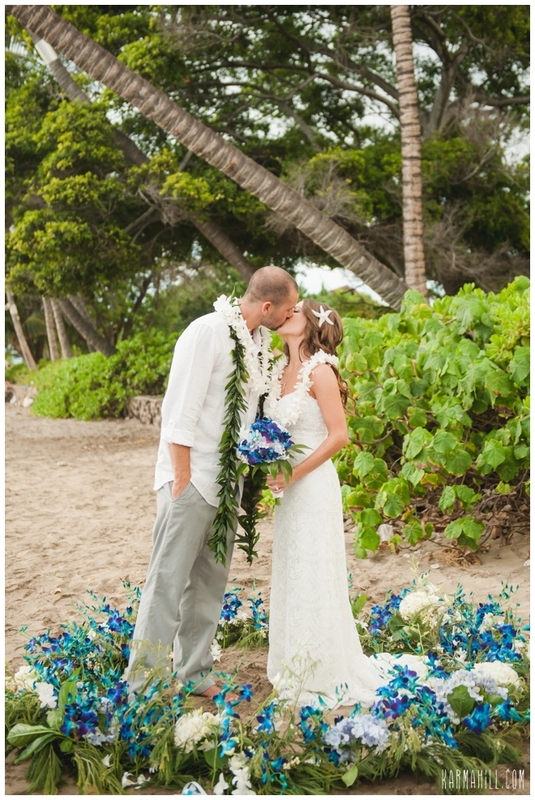 Matthew awaited his beautiful bride on the beach out front of the hotel where Dellables created a vibrant blue flower circle that matched Erica's bouquet. 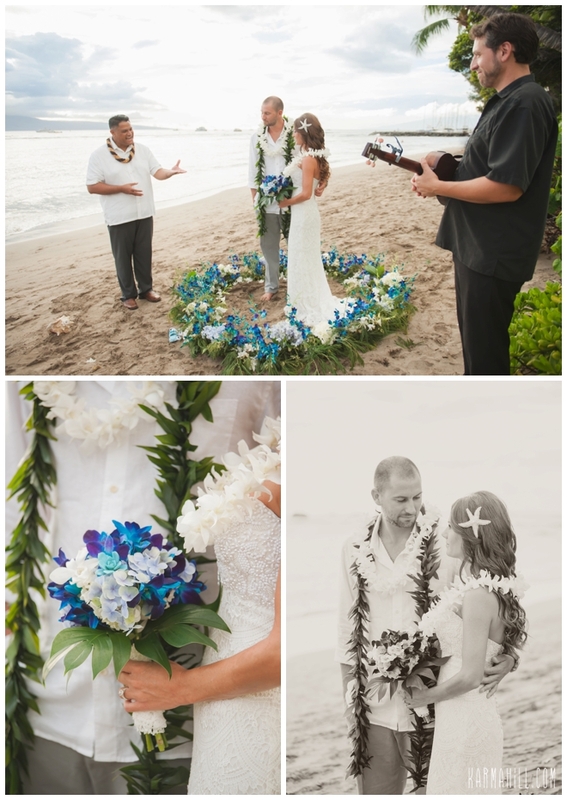 Erica & Matthew's family and friends joined the couple as they shared their love for each other. 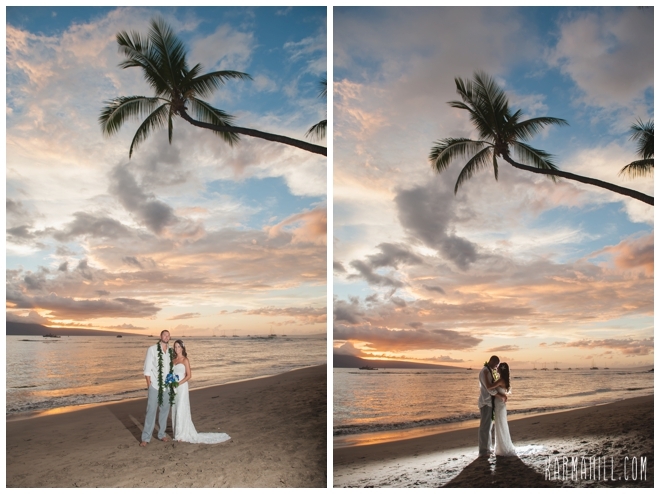 Staff photographer Naomi took advantage of the gorgeous backdrops at this location during couple's portraits of the two lovebirds. 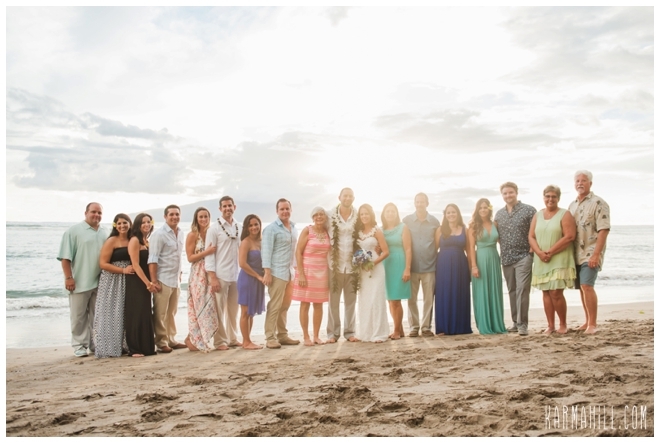 Once the sun went down Erica & Matthew reunited their friends at Pacific'o where they enjoyed the rest of their evening. 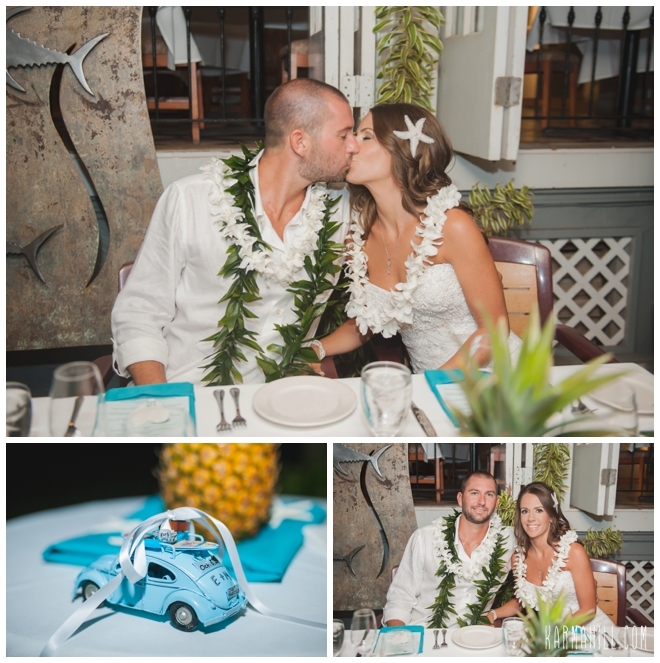 Thank you Erica & Matthew for allowing Simple Maui Wedding to be a part of your Maui wedding day! 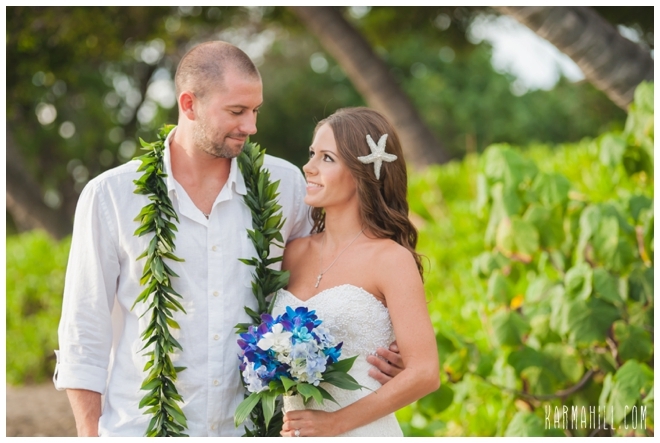 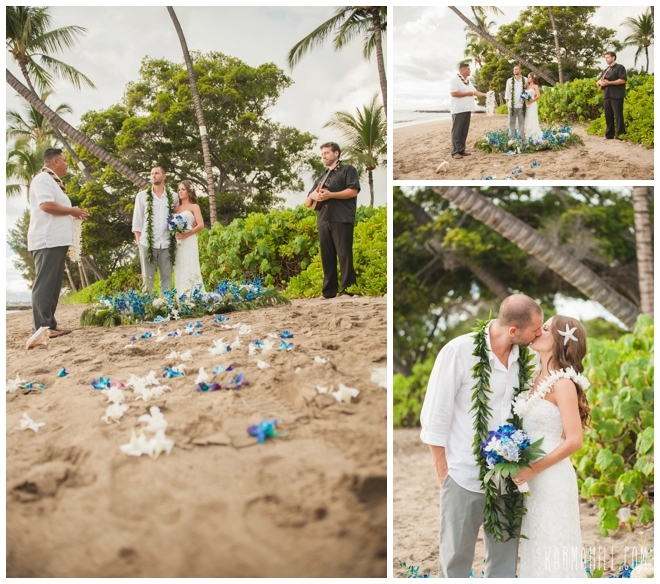 Check out our last Maui beach wedding with Candice & Blair!